Mix all ingredients together in a mixing glass and pour over ice. 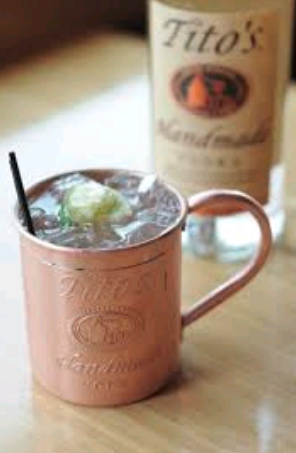 Using a copper mug is key to a classic Mule. A great Moscow mule uses ginger beer, not ginger ale, which is much sweeter and lacks the spicy ginger kick of ginger beer. Skipping the bitters in this recipe allows the bourbon to shine through. Choosing a great single batch bourbon can set this drink alive. Fill a mixing glass two-thirds with ice. Pour Rye Whiskey and Punt e Mes over the ice and stir vigorously for 30 seconds. 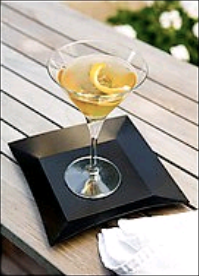 Strain into martini or rocks glass and serve with a maraschino cherry. If you replace ½ oz of Yellow Chartreuse for the maraschino liqueur, you will have what is called a “Greenpoint”. Fill a mixing glass two-thirds with ice. Pour bourbon, lemon juice, and simple syrup over the ice and shake vigorously for 30 seconds. Place muddled peach in the bottom of a rocks glass and top with ice. Strain bourbon mix into a rocks glass and serve with mint and lemon slice. Over ripened peaches make the best cocktails.